As said before the boxed game contains 4 bags of terrain, 2 (same content) have the walls, 1 has the accessories and 1 small bag contains the connector. Once I finished gluying everything I still had lots of connectors left over. 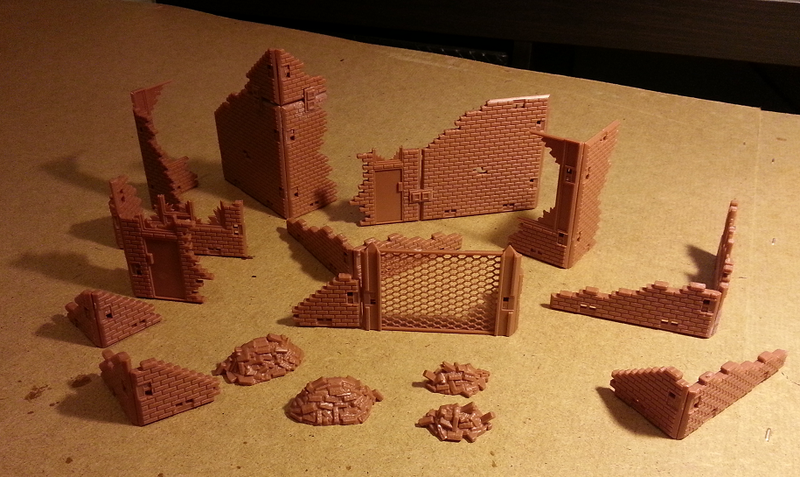 The terrain can be assembled without using the glue but just using the connectors, It will be difficult to dissassemble the tiles since the connetors will most likely break when disassembling the terrain. If you missed the kickstarter The Mars Attacks! 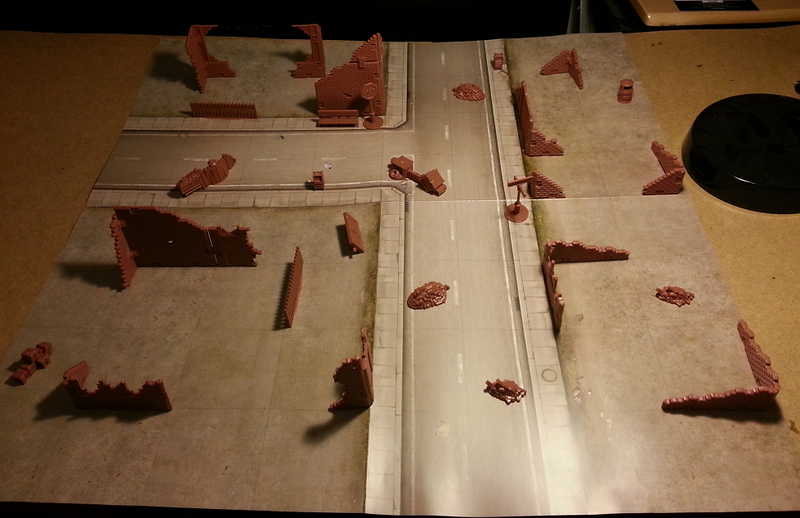 game can be purchased either from Mantic or by a number of oline retailers like Wayland Games. 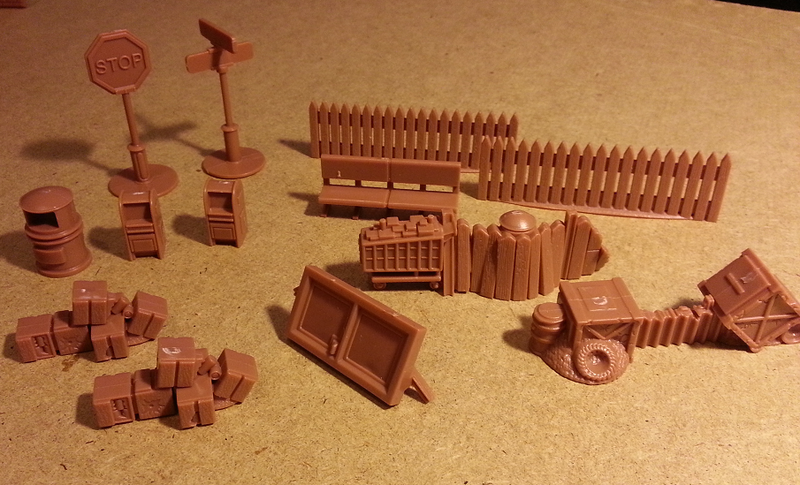 This what you can assemble using the two bags of walls (note that the fence is actually from the accessories bag), as you can see there are no intact walls (just two are almost intact) and no floors.